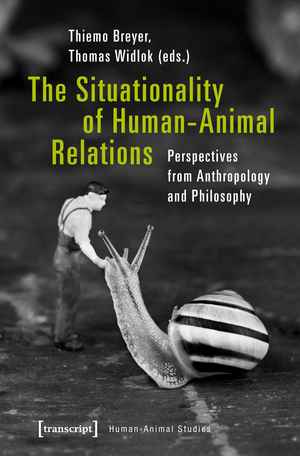 The chapter focuses on conceptualizing event and situation for ethno-graphic knowledge production and development of anthropological theory. Therefore, in a first step, I draw attention to the historical and conceptual importance of the anthropological approaches of »situational analysis« and »extended-case method«, developed by Max Gluckman (1958 ) and his early Manchester School colleagues, and the subsequent elaborations of the two approaches by the next generations of anthropologists. Their enduring relevance for core issues in contemporary anthropological debates is discussed by stressing the conceptual significance of event and situation in practice theory, global ethnography approaches, and subjectivity. In a second step, I perform the experimental exercise of a »situational analysis« based on parts of my research on global Arabian horse breeding and present an ethnographic description of an Arabian horse show event in Egypt 2016, which leads to the concept of the interspecies performance and composition of the Arabian horse as living sculpture. The chapter's conclusion links the anthropological discussion and ethnographic case study by answering Burawoy's call (2000) for the four extensions of the extended-case method as framework for the analysis. In this sense, the chapter takes up the idea of an »anthropology of generic moments« (Meinert/Kapferer 2015) and tries to reinforce it ethnographically.